Admittedly the only reason to go to Taipei was the chance to fly the new EVA Air 787. I was hoping to get Cathay’s A350-1K on the return but that didn’t work out. I did find a steal business class fare on Hong Kong Airlines for $178. And it was on an A350. Sign me up. The Novotel hotel is a great transit hotel. It’s also a nice facility with a shuttle, good restaurant and excellent #avgeek quarters. The only drawback was at the end of winter the windows were in need of a bath. This EVA aircraft might have been my prior nights 787. Looks like TPE is expanding. United getting towed to the gate for it’s daily SFO departure that Apple has practically bought out. Mid morning I took the shuttle over to Terminal 2 where EVA Air and Hong Kong Airlines gates are located. Then up the escalator to where all the lounges are. EVA has a number of lounges in this area. 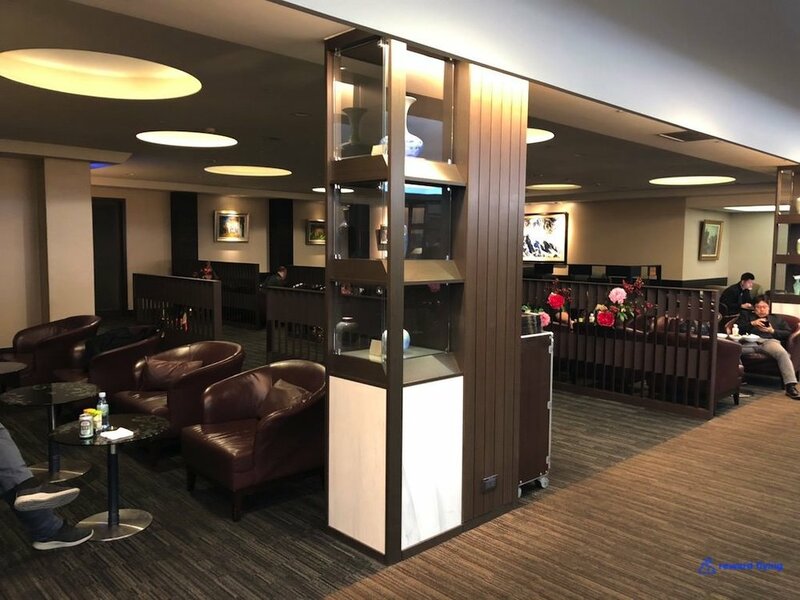 Hong Kong Airlines uses the “Star” lounge. It doesn’t have any relation to Star Alliance I don’t believe, but I suppose you could enter on a Star Alliance ticket. Although I’m not sure you’d want to. It wasn’t the most attractive lounge I’ve been in. Food and beverage was served in this room off to the side. In fairness I was there at 11AM. So maybe they were switching from breakfast to lunch, but still…. Anyone who has been to Taoyaun International Airport knows how big the boarding gates are on the lower level. This gate was packed. It would be a full flight. Already 15 minutes past boarding, no plane, no announcement, no interest. 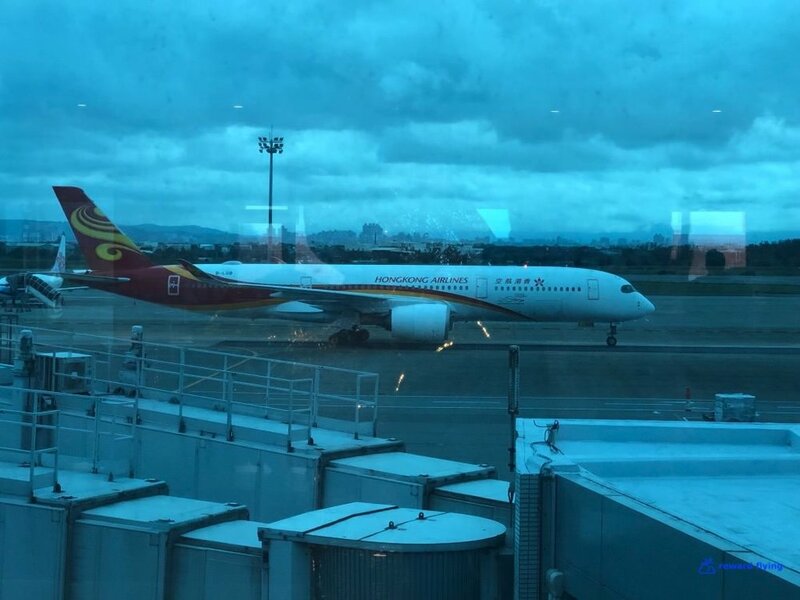 Around scheduled departure time the A350 appeared on this cloudy day in Taiwan. Another reason to like the Taoyaun Airport boarding gates, great views! They turned the cabin around in no time and boarding commenced. This Hong Kong Airlines A350 had the stock Solstys A350 seats. 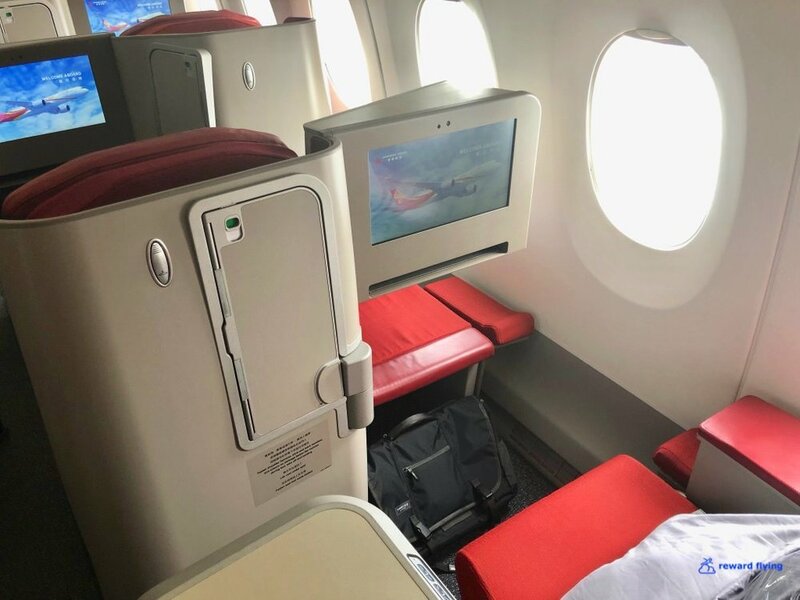 The new Hong Kong Airlines A350 have reverse herringbone Super Diamond seats which are far superior in my view. Nevertheless both are in a 1x2x1 configuration. They cram 33 seats in this front cabin, the most of any airline that I know of. Airlines using a similar seat and number in front cabin: Asiana 28, Iberia 31, Thai 32, Vietnam Airlines 29. Others with different seat types include Cathay Pacific (front cabin) 28, China Airlines 32 and Delta 32. 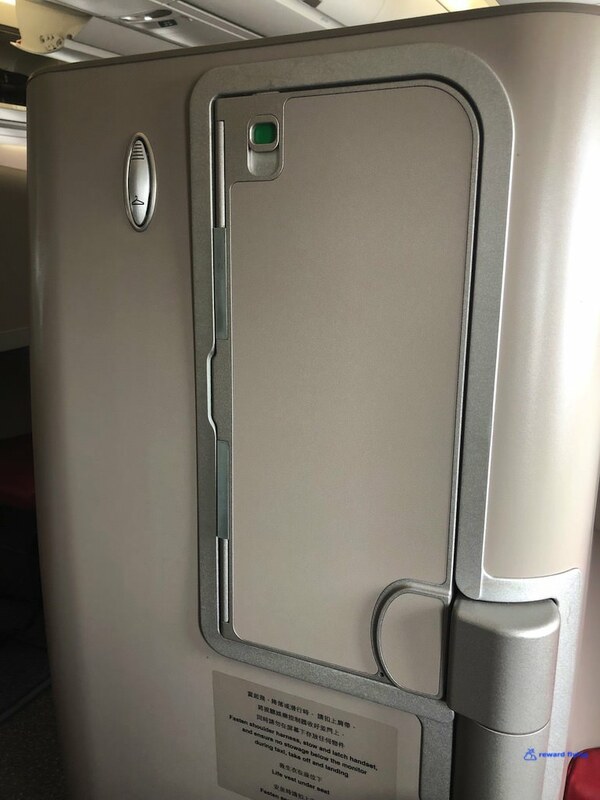 Hong Kong Airlines did not choose to remove the center bins like other airlines. 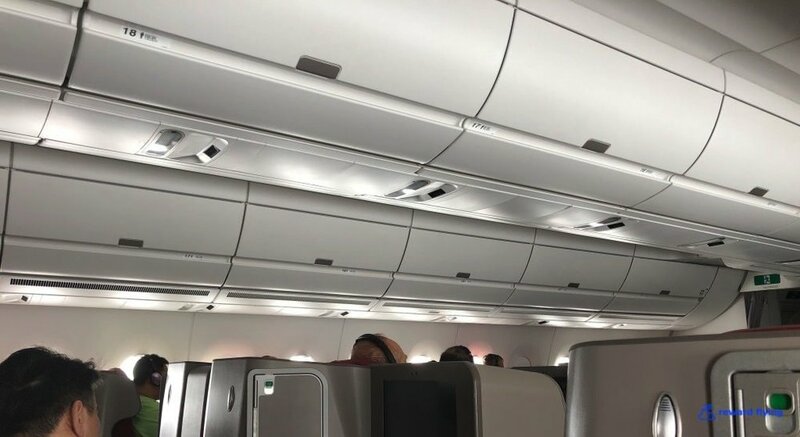 The cabin wasn’t as open, but when the overhead bins have been removed and the seats don’t provide any space, storage can be problematic. Just ask Delta. 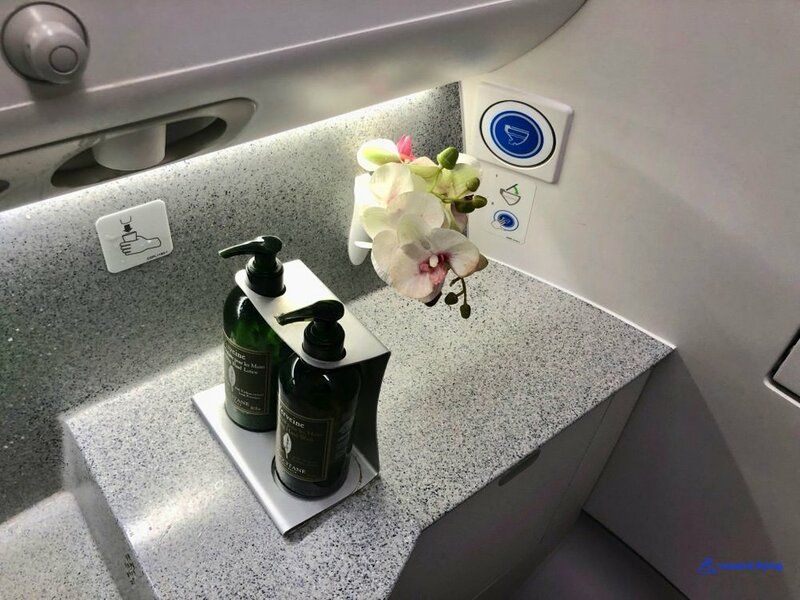 I the main lavatory for the business cabin is average size. The mirror was cracked on this 14 month old aircraft. The Solstys seats are my least favorite J seat. Well, the 2x2x2 Diamond seats rank down there as well. Not that seat is bad, it’s just there are better ones available. A pillow and blanket were provided, a nice touch for a 1 hour flight. Corner cut out so when extended into a bed it fits. The window armrest goes down and the bed extends to the window, but with lots of seams. Then there is this little space below the monitor where you can store… a phone?? The footwell does narrow at the end where your feet end up. Even though my laptop bag fit perfectly under the ottoman and surely doesn’t weigh 26 pounds, I was not allowed to keep there. The FA insisted it go in the overhead bin. When the tray table is down you are land locked. My guess is there are the highest quality headphones. I left them in the bag, just to do my part in saving plastic waste. Good place for the placards, and small Evian water bottles were distributed. 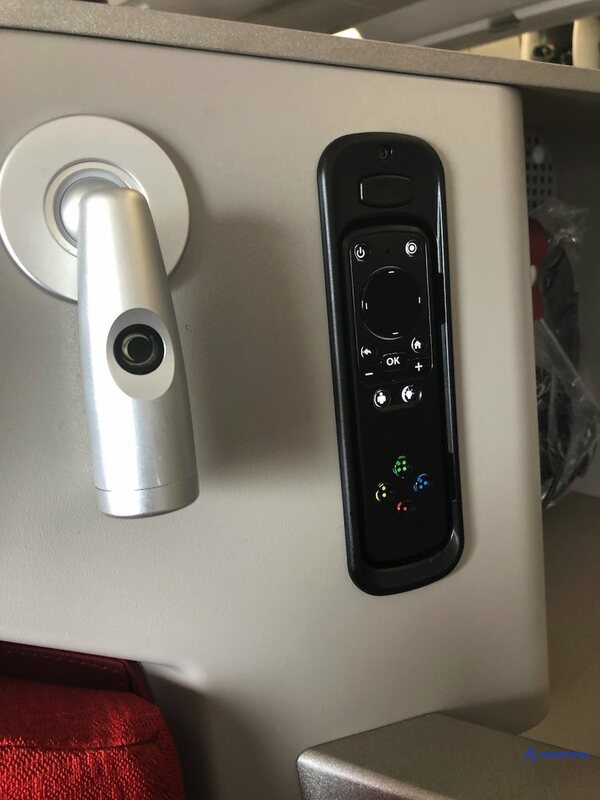 Privacy on this aircraft from seat 17K. Actually I was surprise to see the IFE camera on this jet. Singapore, if HX can get cameras how about you? Menus were distributed for cart service on this 1 hour flight. No mention of wine, it was in the cart. With much trepidation I ordered the Shrimp balls with goose liver pate. And I was genuinely surprised at how good it was. Who takes the time to cut an apple like this? Apparently Hong Kong Airlines. Pretty cool. And they give you 2 desserts. I asked for a cup of coffee. 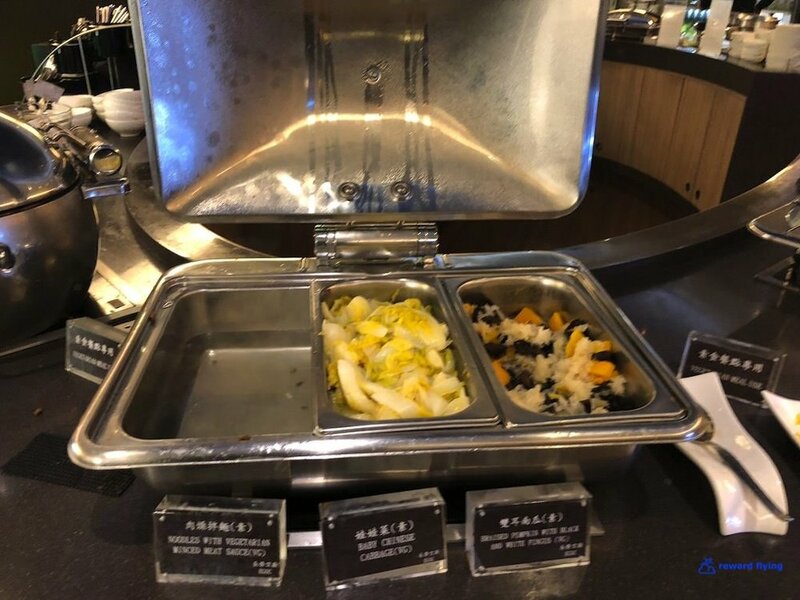 This is how it was served. No little napkin either. The IFE was fair. Not a great selection. But with the Camera who needs movies. The clouds had returned to Hong Kong (along with the rain that took place during my subsequent stay). Landing to the east at Hong Kong International Airport. I ended up spending 11,570 AMEX points for this flight using their Pay With Points program. Steal. Well unless you want to fly CX with British Airlines Avios. Then it’s 9,000 points plus a few bucks for taxes. 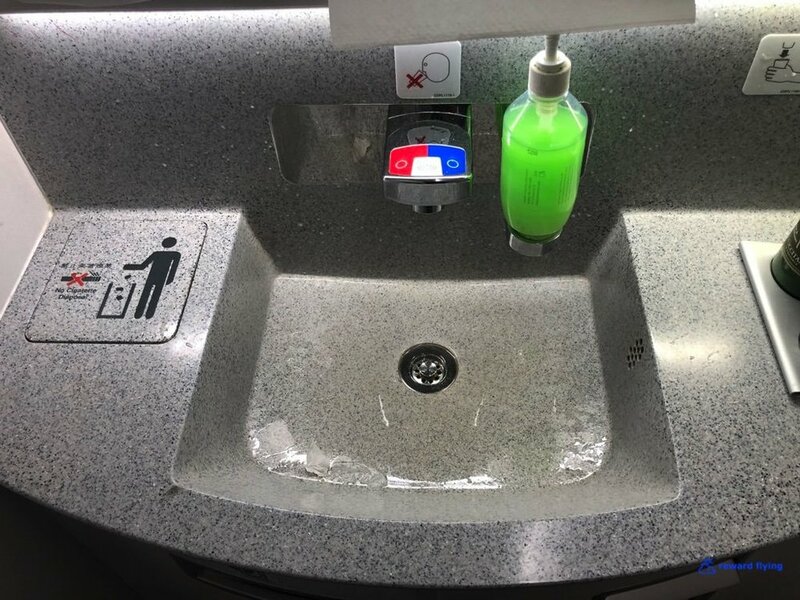 Delta charges 35K on China Air. 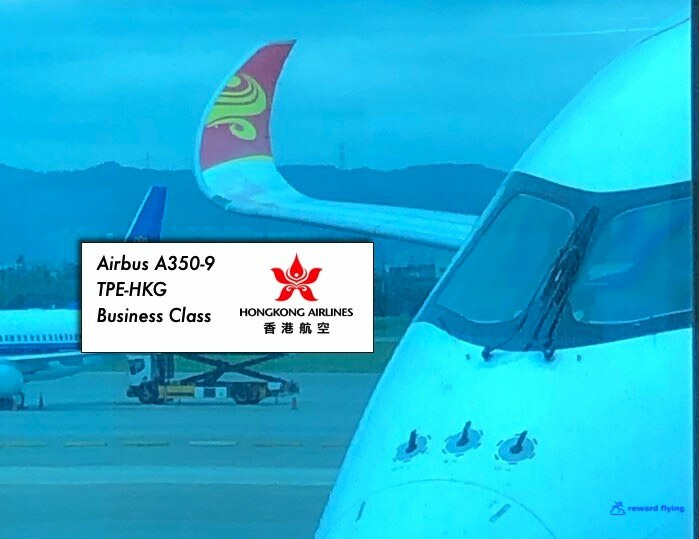 How does Hong Kong Airlines rank? In the middle of the pack, mostly because the fantastic aircraft skewed the results.